The highly regarded lead guard from Illinois returns to the lineup for the 2014 GNBA Championships with a loaded group of talented 8th graders looking for championships hardware. Adams is quick with instincts, handles, and vision and he has a knack for taking the game over with his playmaking. With the likes of Joffari Brown and Marquis Brown alongside of him Adams looks primed for a strong performance this weekend in Wisconsin. Physical and crafty, Brown has the body to mix it up inside, but has a guard-like skill set where he can play on the perimeter and attack from there often. 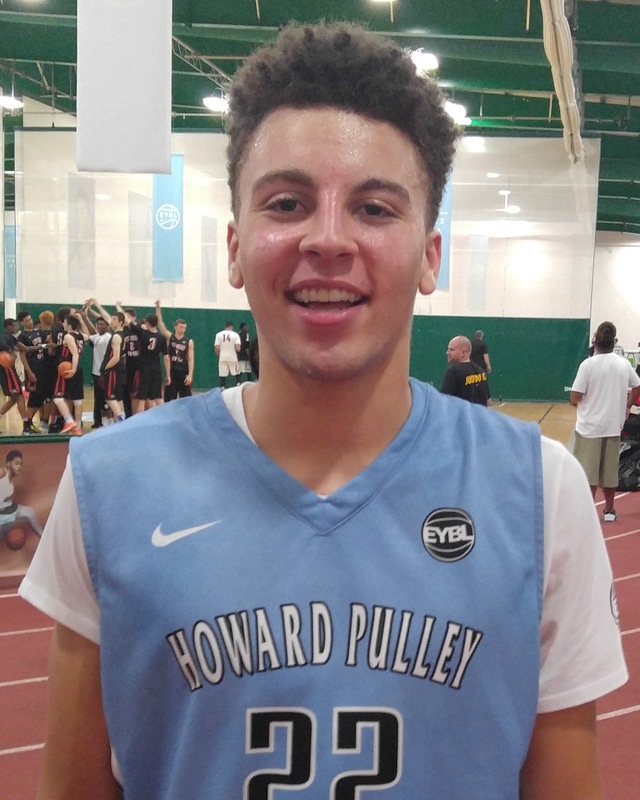 At 6-2, he moves well and has a good handle with the ball where he can attack down the lane lines, uses his shoulders well to square and create space and then finishes well around the basket, but he can shoot it a bit too. Brown averaged 14.5 points per game joining Mac in the 4th session, while also contributing 5 rebounds a game. 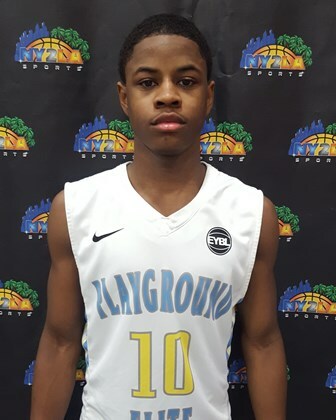 A talented and explosive scoring machine with instincts and athleticism, Brown was sensational during session 1 of the GNBA and his return to the court for Mac Irvin this weekend will serve an yet another weapon for the talented 8th grade group. He’s averaging 19 ppg and close to 6 rebounds a game and he brings instant excitement whenever he’s on the floor. Finke is one of the more versatile players in the GNBA with his mixture of skills and physicality. The 6-3 wing can play on the perimeter and hit shots, handle the ball etc., but he is also very adept at driving past bigger or slower defenders and scoring against contact around the basket. Finke is averaging just under 17 points per game as well as ripping down 5.6 rebounds per and shooting 36% from downtown. Gordon is physically imposing for his age and has the drive to succeed each game. Skill-wise, the 6-6 post prospect has some nice moves in the post where he can utilize his footwork and touch around the rim. What makes him a difficult match-up though is his ability to face up and play away from the blocks a bit too where he can use his handles to drive to the basket also. Gordon is averaging an excellent 17 points, 8.2 rebounds and 1.6 blocks per game. Able to work either guard spot without falter, Herro is a danger for opponents anytime the ball gets in his hands. He has a great outside shot he can knock down from deep when he gets it going, but he is smart enough to use jabs, shot fakes and other tools to get defenders reeling and then get by them down lane lines where he can bury short floaters and such. Physically he is coming along and filling into his length up top. Herro has drilled 21 three’s already in the GNBA and is averaging 13.5 points per game. Johal tore it up in the regular GNBA sessions scoring the basketball at an alarming rate and was also strong rebounding the ball and running the floor. He can score from different levels of the floor and is a tough draw for any defender because of his combination of height and quickness, as well as sharp eye for putting the ball in the hoop. Johal has the ability to take over games when he gets going and will have a lot of eyes on him at the Championships. He is averaging 18 points and 5.6 rebounds per game and his hit 13 three’s, while also visiting the free throw 43 times and hitting 70% of his attempts there. Kalscheur’s size and athleticism at his position is good for his age. With his skill-package mixed in, Kalscheur has led 43 Hoops to a 6-2 record while dominating several games. He can score off the catch-and-shoot, get to the basket off the bounce, and has a mean mid-range pull up jumper he sets defenders up well with. He also does a nice job on the boards and using his long arms to force turnovers defensively. Kalscheur is averaging almost 18 points with 6 rebounds, 2.5 steals per game and has drained 41-of-47 free throws (87%). LaBeaux has a great feel for the game already and does a nice job being patient on the court offensively, not forcing things and just letting the game come to him typically. He has good spring, plays strong inside but also has a nice mid-range jump shot that he hits with relative consistency. 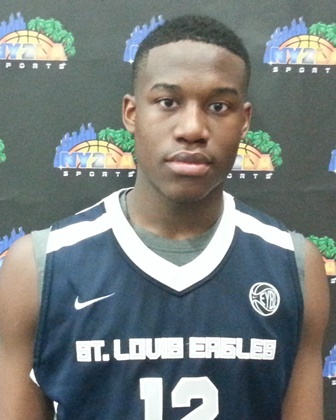 With his athleticism and instincts, LaBeaux is often in good position rebounding the basketball and on the flip can run the floor in transition to clean up the break. The 6-3 small forward averages 12 points and almost 6 rebounds per contest for the Barnstormers. McCabe has really come into his own this travel season, becoming a very consistent and more controlled floor general for a 6-2 Warriors teams. Having grown to 5-11 has not slowed down his quick burst in and out of breaks with his dribble and he is one of those rare players who can create shots for himself and teammates with his handle, vision and natural feel for the game. McCabe has been sinking his three’s with more consistency and has stepped up his defense as well. Long and skilled, Perry is a match-up nightmare to a degree. At 6-8 and able to handle the ball, shoot it from the perimeter and deny opponents baskets regularly on defense, Perry established himself as one of the premier prospects in the GNBA during the first session and will look to re-establish momentum with his team as he faces off against defenses who will gear up to take him out of his comfort zones. 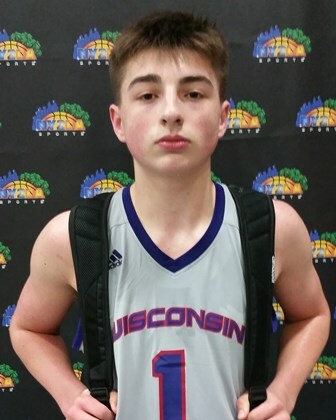 A big talented interior prospect with instincts and skill, Plumb serves as a dominant force in the paint for a deep and talented Wisconsin United 8th grade squad. He’s currently averaging close to 11 points a game while grabbing 7.2 rebounds per contest. 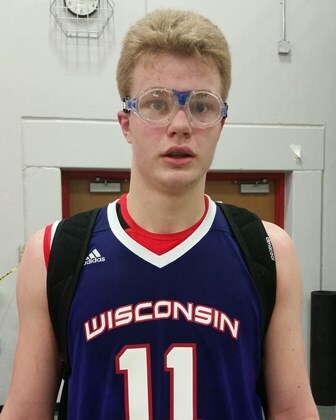 Plumb is a double double waiting to happen at times and his play in the paint will be a key factor this weekend in the fortunes of the Wisconsin United squad. Though not the leading scorer on his team right now, Porter’s presence on the floor affects the games in different ways because of his size and ability to move well. The 6-6 post prospect is more apt to shoot the ball from the mid-range, which he does well, but he also has some nice moves around the blocks where he can turn with either hand and score. Perhaps his biggest impact though is defensively where he is already an excellent shot blocker and rebounds the ball well also. Porter averages 9.5 points and 7 rebounds per game, but he also has 3.9 blocks per game having blocked an awesome 31 shots already. Ramey has been considered one of the best point guards around for a while now and he is still growing into his game overall. The slick lead guard has excellent handles, can score from the outside, has a good feel for when to take it to the hoop and can finish on the attack, has quick hands defensively and is excellent in the open court. He is the conductor to the 8-0 Ramey machine thus far. 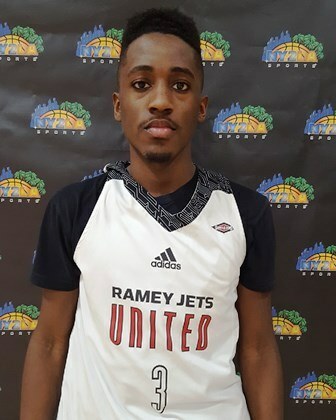 Ramey averages 13.2 points per game, as well as doling out 3.1 assists per game, knocking down 75% of his free throw attempts also. Sills has been exceptional throughout the GNBA and his play will likely play a key role in the outcome of the Hawks performances this weekend. Sills can score in bunches and he hits the court this weekend averaging close to 15 points a game while kicking out a little over 2 assists per game. He can score inside and outside and his ability to attack the rim off the bounce will be key to the Hawks attack this weekend. 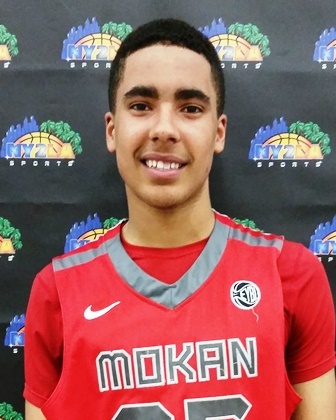 Steffen is a well-sized guard prospect who has made a lot of plays for Swing in the first couple sessions. 6-1, Steffen typically has a match-up advantage and uses his body well to get to the rim against smaller players, but also to play through contact when running into forwards and such in the paint. 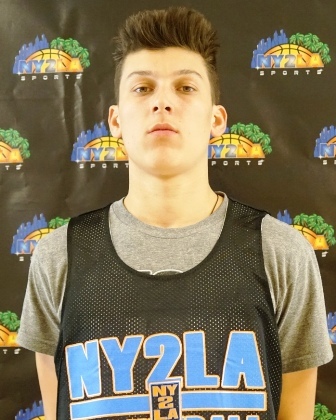 Steffen is excellent in the open court, can knock down perimeter shots and is a tough on-ball defender with his length. He averages 13.9 points, 4.5 rebounds and around 2 steals per game. Thatch has been a tremendous talent skill-wise and just physically for Ramey thus far. Thatch burst on the scene big time in the first session, where he showed his ability to handle the ball a bit and his relentless attack going to the hoop with the skills to finish. In the last session, he established himself as one of the better rebounders in the league from his position and hit some nice shots as well. Thatch is averaging 12 points and 7.4 rebounds a game, doing a lot of his work on the offensive glass with 24 offensive rebounds. He also has 17 steals through the 8 games. A talented and aggressive forward with skill, Watson forms a lethal trio of talent alongside Ramey and Thatch for the powerful Team Ramey squad. A do it all talent who has no problem making things happen with and without the basketball, Watson is one of the glues to this squad and he heads into the GNBA Championships averaging close to 9 points a game while grabbing a near 5 rebounds per contest. Wieskamp has been red hot as of late, excelling on the offensive end and really leading his team entering the Championships. 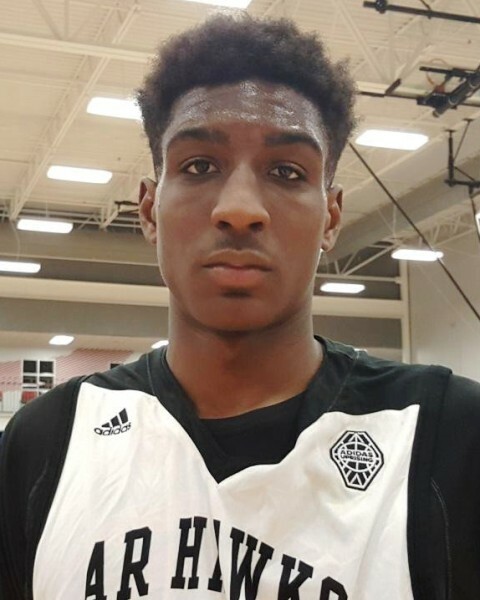 The lanky 6-2 forward has a high motor and gets to the boards regularly, but offensively his skill set is just starting to take off where he can beat you from the outside or on the drive and either get to the rack or pull up for little short-range jumpers. His play certainly reflects his effort minute-in and minute-out on the floor. Wieskamp is averaging 18 points per game while having made 18 of his 30 attempts from beyond the arc and shooting it 70% from the field overall. Often calm and collected, Young’s game has a lot of fire to it still. 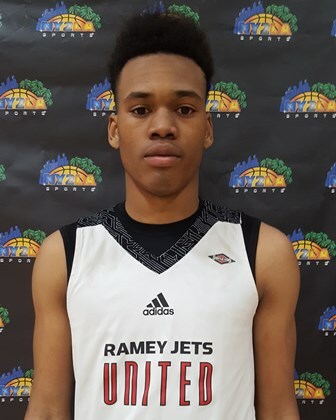 The 6-1 wing prospect has a lot of potential, but already has proven to be one of the tougher, skilled players in the class. Young has enough dribbling skills to rip through and take defenders to the basket, he finishes well in traffic, but also has a nice pull up jumper when he is feeling it. With his strength and aggressive play, he gets to the line often for free ones, but is also a tough rebounder on either end of the court. Young averages 13.5 points and 5.6 rebounds per game.